Did everyone see the new Fairyland event that just started? I (and a lot of others) were hoping for a rerun of tan Pukifees but alas it was not meant to be – my dream Tan Flora and Vanilla remain out of my reach – instead Fairyland have release two new Pukifee sculpts! Both girls are available as full sets or as basics – click the pictures to go straight to the Fairyland site (where the photos are from!). 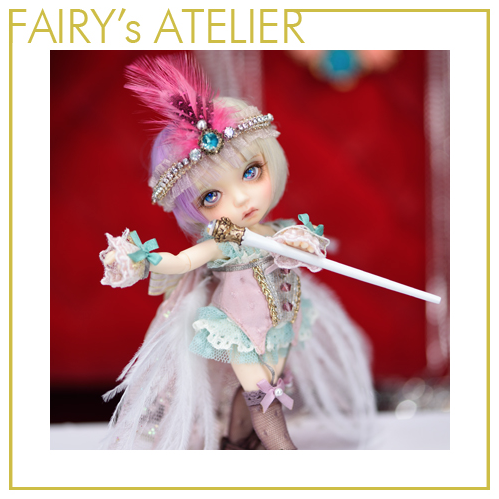 I think it’s interesting where Fairyland have taken these girls, to me they seem very very different to all the other Pukifees in that their faceup is quite dramatic and sophisticated, especially for a doll that essentially portrays a 5-6 year old child. Dony especially has very dark eye makeup and very done up lips however she is my favourite of the two, I think I would prefer her much more with darker eyebrows though. So I haven’t decided if I’m going to order Dony – while I do like her I’m not getting the overwhelming NEED to own her like some of my other Pukifees. I do admit I have trouble resisting something new and shiny so I might cave before the ordering period is up. No news on what these free faceplates will look like but do note that there is an up to 30 business day delay on current orders – on top of the already long 50 (?) business days processing time – basically be prepared for a loooooooong wait. Cony’s outfit is adorable and she reminds me of Bonnie a bit so I can see why you would love her 🙂 I am thinking Dony might fit in nicely with Luna and Mio…so tempting! I can see Luna and Mio in Dony, too! And I just ordered Cony overnight – I couldn’t help myself! Congrats!!! 🙂 I can’t wait to see her with the rest of your gang! I’m still tossing up…trying to resist but it’s probably futile!